Saturday 10 September saw the return of one of the most important festivals in Lanzarote, the Romería de Los Dolores in Mancha Blanca. An annual pilgrimage to pay tribute to the patron saint of Lanzarote, la Virgen de los Dolores (Our Lady of Sorrows) also known as la Virgen de los Volcanes (Our Lady of the Volcanoes). There are a few versions of the legend, the one I have heard talks about a young girl who during the volcanic eruptions of the 1730’s, stood firmly in front of the church at Mancha Blanca believing she could protect it from the lava. The legend says that within minutes, the lava parted around her and the church leaving it unscathed. If you’ve heard another version, we’d love to hear it so please get in touch! 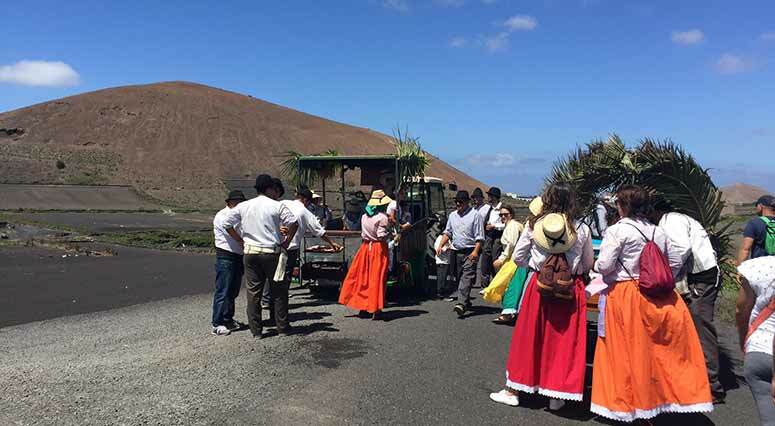 Since that day, Lanzaroteṅos have walked from wherever they live on the island to pay homage to the Virgin for saving the village from the volcano. 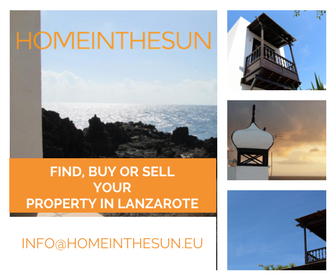 Known as La Romería de Los Dolores, it is a time for great celebration. This year, we decided to participate and do the 10Km walk from the Monumento al Campesino in Mozaga to Mancha Blanca. The walk wasn’t as bad as I had feared, pretty flat for the most part until you reach La Vagueta and then there is a slight incline that stretches for about 2Km. Google maps showed that it should take around 2hrs 7mins – yeah right! It took us just over 3 hours at a reasonable pace with a couple of 5min stops to have a drink, slap on more suncream etc. The other pilgrims we encountered along the way were all in high spirits. A key part of the walk is drinking and eating. Some of the participants had the frames from ‘old lady’ style shopping bags with cool boxes strapped to them filled with beer, wine, ice, rum – you name it! Other’s had opted for carts drawn by donkey’s or tractors which had even been modified to hold a bbq on the back so they could cook as they walked! We all agreed that we need to get one of those for next year! Arriving at Mancha Blanca, it wasn’t long until the virgin was brought out of the church ready to receive the offerings (mainly local produce) from the pilgrims and their thanks in the form of traditional dancing and music. The procession past the virgin does go on for a couple of hours, however you won’t get bored as there’s lots to see and a great atmosphere. Later, the party really begins! There’s lots of great places to eat traditional Canarian foods such as cochino (pork), carne de cabra (goat’s meat stew), papas arugadas with mojo (wrinkly potatoes with a sauce), there is a small fair for the kids and later a concert that plays until around 4am. I definitely recommend making the effort to take part in the Romería and even dress up if you feel inclined. There are shorter routes you can take, with a bit of advance planning, if the thought of walking 10km makes you want to faint!